Did you know that Windows XP has been around for 13 years? 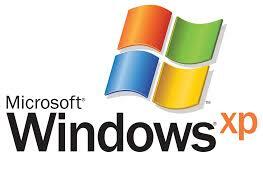 On April 8, 2014, Microsoft will no longer provide security patches for Windows XP. Why should you care? With no new security patches, Windows XP will be more vulnerable to hackers. About 80% of all ATMs in the United States still run Windows XP. According to a Bloomberg Businessweek report, only about 15% of ATMs will be upgraded to Windows 7 or Windows 8 before April 8th. There are some technical people that will tell you that you have nothing to worry about because most ATMs run a special version of Windows XP called XP Embedded Edition. Support and security updates for Windows XP Embedded Edition has been extended until January 12, 2016. I doubt many people know exactly what version of Windows XP their bank’s ATMs have installed. I say it is better to be safe than sorry. Pay very close attention to your bank statements. Take a look at the video at the link below. It shows how it was possible to make an ATM spew out money in 2011. Hopefully by now all ATMs have been updated with security patches to stop this type of attack. Good information as usual John. Thanks.